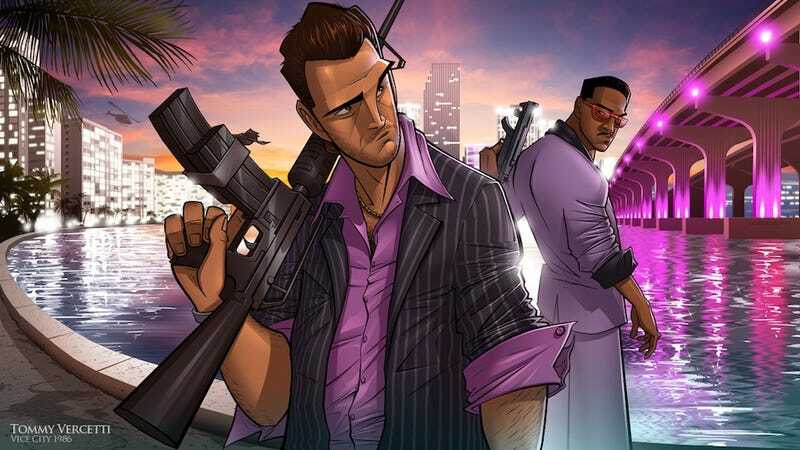 Rockstar has unearthed three previously unreleased tracks from Grand Theft Auto: Vice City's beloved in-game radio station "Radio Espantoso." The three tunes are now available on iTunes and streaming on Spotify. Nice. The songs in question are "The Bull's Wrong" by Alpha Banditos, "Yo Te Mire" by Tres Apenas Como Eso and "La Vida Es Una Lenteja" by Unaesta. That middle one, by Tres Apenas, is a real party. According to an update to the Rockstar blog, the tunes have digitally remastered; they join the exhaustive collection of GTA radio playlists that Rockstar has already shared on iTunes and Spotify. I'm sure a lot of this is to generate roundabout hype for GTAV, and I gotta say… it's working. You Can Now Buy GTA&apos;s Soundtracks On iTunes (And Listen On Spotify). You Really Should. Top image by Patrick Brown.